Paul and Charlotte were married on June 18, 2011 at the Ramada Hotel in Toledo in a beautiful ceremony surrounded by family and friends. After the ceremony, the happy couple and wedding attendants took the limo to Wildwood Metropark for some formal wedding portraits. After the photo session at the park, we headed back to the hotel for the wedding reception, where a great time was had by all (including the softball teams staying at the hotel!) The Ramada and Glendale Flowers did a great job transforming the atrium and making everything look incredible! The wedding cake looked great with the blue roses! The evening was filled with family and friends, love and laughter and lots of dancing. Looking for a little wedding inspiration for your wedding day? Check out some of the other pictures from Paul and Charlotte’s special day. Congratulations Paul and Charlotte from Kurt Nielsen Photography! May you have many happy years together! Tom and Joeline will soon be married and for their engagement photo session, we went to Wildwood MetroPark to get these amazing images! We had so much fun taking these portraits. I can’t wait for their September 3rd wedding! Congrats Joeline and Tom from Kurt Nielsen Photography! See you at the church! Terri and Bill were married on August 19, 2010 in a small ceremony at Holy Trinity Greek Orthodox Church with their wedding reception held at Georgio’s Cafe International. To help them celebrate their first wedding anniversary, here are a few images from their special day. 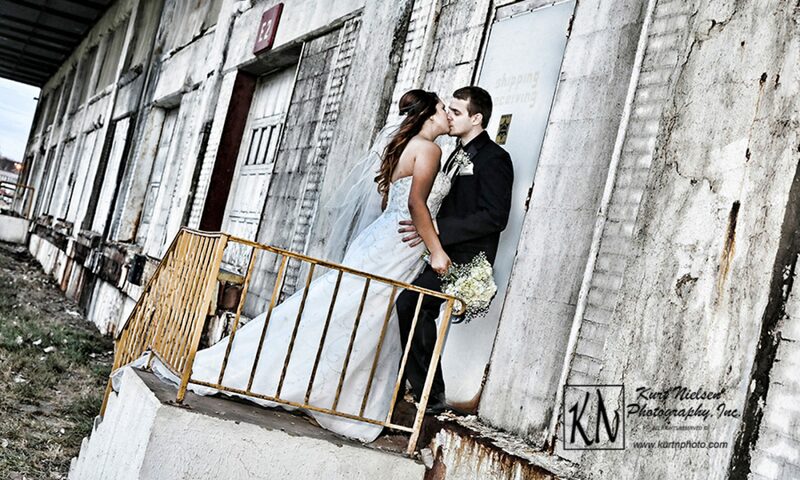 Congratulations Terri and Bill on your first wedding anniversary from Kurt Nielsen Photography!